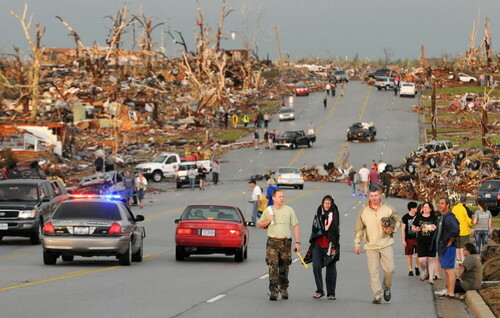 devastation in our neighboring city of Joplin, Missouri. We are less than an hour from them to the east. literally leveling everything in it's path. To those of you who know we live in this area, Thankyou, for your love, concern, and prayers for our safety. Please join me in praying for the people here, who are still searching for loved ones. And that God will strengthen and sustain them through this trying time. So very sad! My thoughts and prayers are with all who have had such awful storms destroy their homes! I too, have been glued to the news all morning. So sad and so much heartbreak and devastation. Oh Debra, so glad you are safe!! My mother called last night to tell me of the devastation there. Sometimes I don't miss the midwest. These pictures are just heartbreaking. Debra, I live in Columbia, Mo and also have been watching the news in Joplin. Hard to imagine something so life altering can be so sudden and unexpected. I'm like you, I can't concentrate on anything else this morning...we had sirens last night, we live about a 1/2 hour to the northwest in Pittsburg. New storms are moving in from the west right now and dumping more rain in the area. The pictures are just heartbreaking! I am praying that the Lord will show me how I can help, once the roads get cleared. Kansas/Nebraska Southern Baptist Disaster Relief teams have had so many requests for help in the last few weeks, they are stretched thin! I hope I can at least go help make sandwiches and pass out water and blankets! Thanks for posting this and praying for our neighbors! Oh Debra, I'm so glad you are okay, but how sad are these photos. I just can't even imagine this kind of destruction in a matter of minutes. My heart goes out to all the people in your neighboring city. Oh my friend, I have been watching it too! I saw first hand the damage we had here in Georgia recently! It is heartbreaking and brings us to our knees to pray HARD! Bless your sweet heart and I am thankful you are safe! I am so glad you are safe. I know bad weather was still heading through this morning. I've been in meetings and anxious to get on blog land to see if everyone is okay. My heart breaks for those who lost loved ones and their homes. 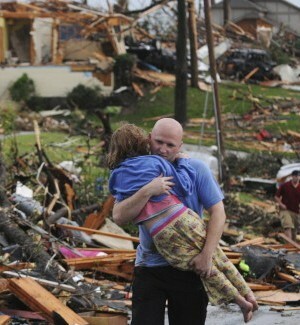 My thoughts and heart goes out to the people that are suffering this new tornado! I've been glued at FOX News too and the devastation it's just incredible, this is beyond sad! I'll keep them in my prayers! God help people be strong, to rebuild. It is horrible. So sad for the families. Debra, I did not know you lived close to there. It is devastating what we saw on the news when we turned the t.v. on this morning. Certainly praying for all involved. Thanks for answering your phone last night!!!!! oh, I cant even imagine!!! those images, so glad you are ok! Debra, My heart is so heavy with such tragedy of our Nation's sisters and brother in MO. I fell to my knees this morning during the TODAY Show which featured a video clip of a group of folks that were at a gas station during the tornado; the woman in the background was calling on the Name of the LORD with such desperation. My prayers are with you all! Love, Hugs and Prayers from Colorado! Too close for comfort! I'm glad you're okay. So sorry to hear of the loss and devastation and lives lost. Sending thoughts and prayers. Oh Debra, I had no ideal this had happend, haven't watched the news in a few days, I'm so glad that you and you family are ok, and I will be praying for the family's that were touched by this terrible tragedy! So glad you are alright. It's so sad to see our neighbors going through this. Even though I live in NW Arkansas I still feel close to this as I have family and friends up there. Best wishes and prayers going out to everyone on those communities. My heart aches for all of you affected by this enormous tragedy. Please know, we hold you close in prayer and in hope restored. Sending love from the Pacific Northwest...hug. Glad you and family are ok. My heart goes out to those that have lost so much. I just can't imagine. I'm so glad your safe, Debra. Such heartbreaking photos. First here in the south and now where you live. Hoping that not too many people will have perished....so many tragedies this year. Debra, this makes my heart heavy and I have goose bumps. Those photos could have been taken here two weeks ago. I pray that the natural disasters happening all around us will make people turn to God. In some cases, He is the only thing you have left. I can't imagine going through it without Him. I will certainly pray for these people. My neighbor's sister is still in the hospital from her injuries. - she lived 5 minutes away from us...I am so thankful for so many things. Oh Debra , This is yet another devestating natrual desaster . I think God is giving us a wake up call. I think I have prayed more this last year than I have my whole life .And I will continue to pray for those who have lost their life and those that are dealing with that lose . So glad that you're safe...there's been such devastation. I live in St Louis so it is all over the news here too. I am a nurse and looking at that hosptial, I can't imagine what they went through. Although I can say I HAVE lived through a F4 tornado myself...thank the lord. Praying my friend for comfort, solace, and strength for these folks. It's so terrible! The Lord is really giving us signs lately! I am glad to know you are well! I am thinking of you and of course praying for you and everyone in your area! Our thoughts and prayer are with you all during this terrible time. I am glad to know you are well! We are all being tested this last year or so. Find comfort,solace and strength in each other. My Nephew lives there with his son and girlfriend. I haven't gotten ahold of my sister to see if she has heard from them. My prayers are out to all in this time of need. Heartbreaking. I will certainly keep praying for all these folks and am grateful that you are safe. 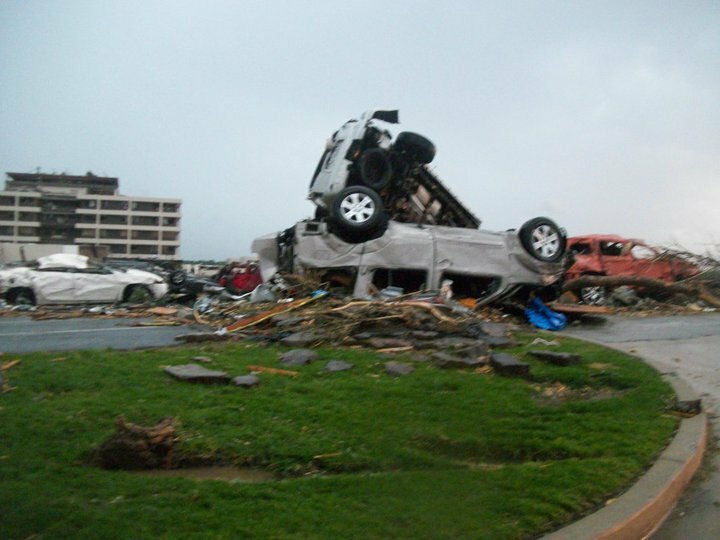 I am so glad to hear that you are ok...we all are watching and praying for the people in Joplin. Debra, I woke up this morning to this terrible news. Sadly many who heard the alarm thought it wasn't serious this time 'round. And sort of kept to their routines. They said this was one of the most devastating tornados every to hit. My heart goes out to the victims on this sad day. My heart and thoughts go out to all. It is heartbreaking to see these images. I watched all morning until I had to go to work.........so, so sad! We've been watching it as well down here in Texas. It is the saddest thing. I saw the veteran reporter from the weather channel this morning reporting on it and he had to pause because he was so choked up by the devastation. Just tragic. I pray that those affected by this find comfort and strength. So glad to know you are ok! The devastation is there is almost unbelievable! My heart has been heavy all day for these people! This is so very sad...I'm glad to hear you are okay though. Many prayers coming your way! So sad. The devastation is horrible. Prayers for all! OMGoodness...sending loving thoughts and prayers! I am doing a shelter giveaway so make sure you come by and visit, leaving a comment or 3 on your way out !! The news just gets sadder and sadder. I hope that help is sustained for the people who have suffered such huge loss. I'm so incredibly sorry. My husband called me this morning (we're in MD) to tell me about it and it gave me shivers. These images are heartbreaking. My thoughts and prayers go out to all. As I watched the news last night I thought of you. I know you live in the Springfield area and not in Joplin but it's close and you just came to mind. It's a terrible tragedy and one that will take years to recover. I've been glued to the TV tonight watching the reports and I can't begin to fathom the enormity of this tornado. Brian Williams on the NBC news said TV pictures didn't begin to tell the story and I believe he's right. Debra, I just now saw your post! We have been glued to the TV all day as well. Vanessa and I grew up in Springfield, so this really hit close to home for our family too. We've been checking on friends in the area all day. What an awful two months it has been for so many people across the country. Our prayers join yours for our friends and the wonderful community of Joplin! Debra... I had no idea this was so close to you... How scary... Sending lots of LoVe to all those in need!!! So much devastation, my thoughts and prayers go out to each touched by this storm. Unfortunately for us in Alabama this is a scene we see too often! The good news...neighbors helping neighbors rebuild lives, hopes and dreams! I am so glad that you and your family are okay! My heart goes out the families who lost loved ones and homes. I know first hand what it is like to lose everything. In the 1980's I moved to Houston, Texas. One day while I was at work there was a bad thunderstorm and lightning hit my townhouse. It burned down to the ground and all I had was the clothes on my back and my car. Two weeks later while trying to get some shopping done on my lunch break, my car was stolen. There are times in life when nature brings us to our knees. My prayers go out to the victims. My prayers are with all of those affected. Be safe. Oh dear Debra, I did not know you lived there- I`m so happy you are safe, but it makes my heart cry for all involved in that terribly tornado storm. FYI: The website Toomer's for Tuscaloosa is also accepting donations for those affected by the storm in Joplin. Our prayers here in Alabama go out to Missouri. Just the evening before the Joplin tornado, several tornadoes swirled all around us, and the little town just 15 minutes to the south of us was hit. This little town of 250 people was all but destroyed, and I wonder if it will be able to rise up from all the rubble. We've been lucky here in Kansas as normally by now we would have seen over 100 tornadoes in the state before the end of April. Oh Debra My thoughts and Prayers are with those Families in Joplin. Many Blessings to you and Your Family too Debra. I will continue to keep you and all the people of Joplin and surrounding areas in my prayers. As I type this, I'm listening to what is happening in Oklahoma right now. God Bless, and stay safe. You were one of the first people I thought of, so glad you are ok, it is just so heartbreaking.